started throwing pots in 1999, a couple of years after a series of work trips to Eastern Europe ended. On those trips, I collected pots that I surrounded myself with at home. When the trips ended, and with them my source for nice pots, I decided to try to make some myself. I worked in community studios in the Washington, DC area from 1999 until 2011 and worked in several studios in Florida from 2012 until late 2015. In November 2015, I moved back to the DC area and have a home studio in Silver Spring, Md. I try to throw pots that are pleasing to the eye, are at least theoretically functional, and represent personal variations on timeless forms. I like to throw large pots, particularly large covered jars. Vessels, urns, pithoi, or amphorae — whatever you call them, I enjoy their sensuous form and sometimes powerful presence. My more functional work centers on dinnerware and mugs. As a coffee connoisseur and home coffee roaster, I try to throw mugs that are worthy of my coffee, and vice versa. 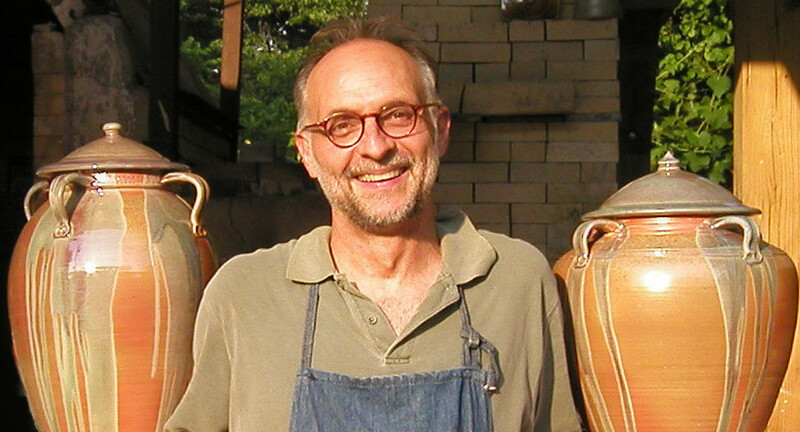 For most of the 2000s, I fired my pots in wood, soda and salt kilns, enjoying their unique glaze and surface benefits. For the last several years I’ve fired in gas kilns, exploring old and new glazes and surface decoration techniques. I’m currently firing my work at the District Clay Center, in Washington, DC, where I also assist with the operation of the studio gallery.